With the New Year almost upon us it is time to reflect on the year that has past and begin to look forward to the ‘new leaf’ that we all plan to turn as the old year falls away and new one begins. Why not make a fresh start in your décor too, and get your bedroom ready for the New Year by finally achieving the bedroom of your dreams. Do not be tempted to skimp on the quality of your bed linen. If you buy the best quality that you can afford, not only will last longer than cheaper products – that will need replacing more often anyway – it will feel and look good at all times. Choose fabrics that appeal to you and that you love to feel against your skin. Do not buy smooth satin sheets if you then struggle to sleep while sliding around in the bed at night! Your bed is the most intimate piece of furniture you own as you climb into it trustingly, so allow your personal taste free reign when it comes to choosing your bedding. Choose colours that work well with the room’s colour scheme, but opt for some variety so as to give the room a different look each time you change the bedding. 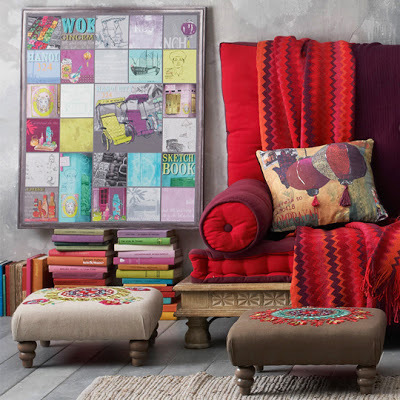 This will help to keep the décor fresh and interesting as the seasons change. For cheerful clean colours of bed linens, my favorite among all is Yorkshire Linen Co.
Add throws and cushions to your bedding, to add a warm and inviting ambiance to the overall décor. There is something about an artfully draped throw that appeals to our inner child, the one that just wants to snuggle! 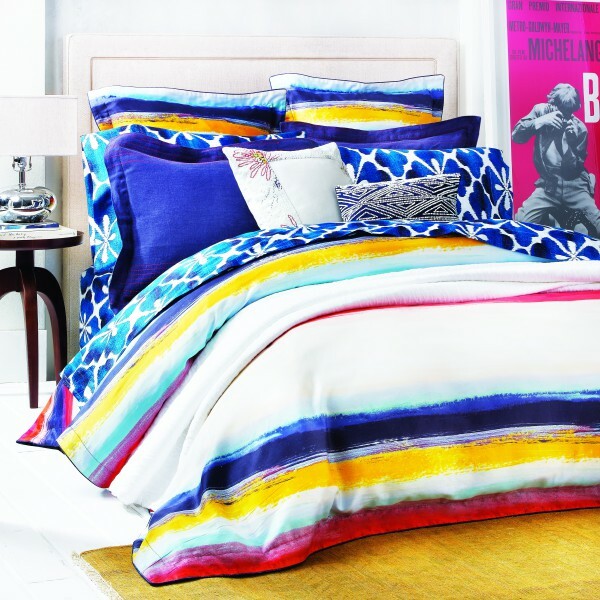 Try to change bedding fabrics with the season, using warm flannelette in winter and cool crisp cottons in summer. Feeling cool on a hot summer night and warm in the midst of a chilly winter is an excellent way to boost your mood and your confidence. Choosing environmentally friendly bedding and fabrics may be pricier but the knowledge that you are doing good things for the planet is often its own reward. Your health too, particularly if you suffer from allergies and sensitivities may benefit from choosing organically grown and made bedding products, can benefit from investing in ecologically friendly bedding. For ecologically friendly bedding, I always look forward to Nature Warm. When selecting your bedding, make sure that you choose pre-shrunk fabrics! There is nothing more sickening than the realization that your perfect new bedspread no longer fits on your bed after just one wash! 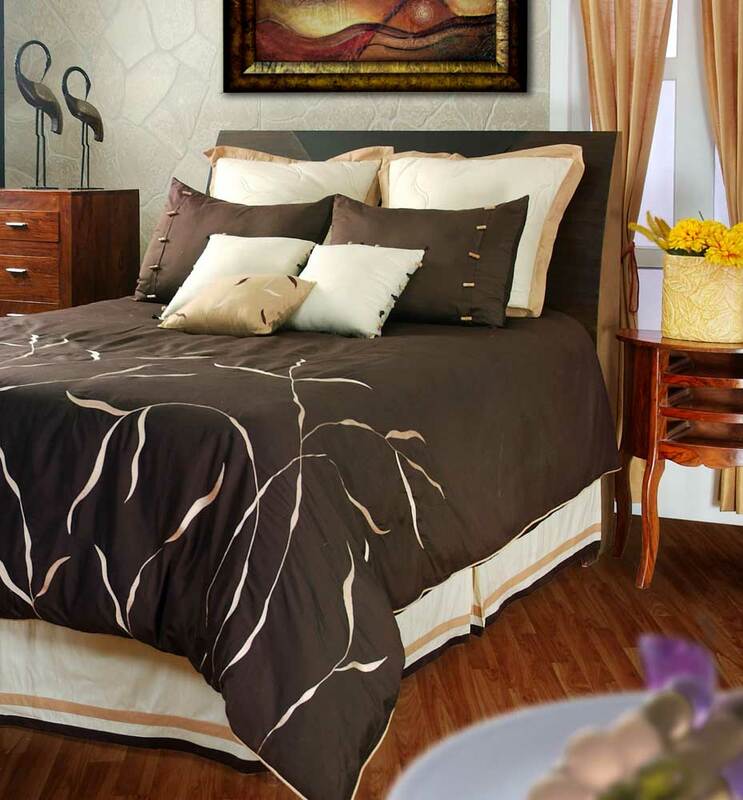 No matter how restricted your budget is, try to add a little bit of luxury to your bedroom. This apparent self-indulgence will make you feel better and more confident in and about yourself and may provide the little bit of extra will-power that you need to succeed in the future. Think of it as being an investment in yourself! 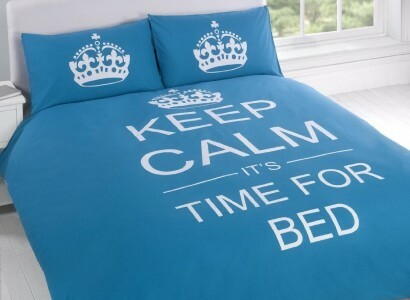 Keep Calm and Sleep Well! Choose calm and happy colours for your bedding. Your brain picks up on subtle changes in your environment and simply choosing bedding that makes you smile can lift your mood and spill over into other parts of your life, helping you to kick that bad habit, get that promotion, or simply accept minor annoyances that you cannot change. Bedeck your bedroom with something new and fresh for the new year, especially if you have resolutions that you want to stick to. As you change your bedroom décor, mentally go over your resolutions, seeing yourself succeed against the backdrop of the new bedroom décor. This can create a powerful mental strength that can help you to stick to your guns, whether it is giving up smoking or finally getting that novel written! Happy New Year and good luck in ALL your endeavours! Thank you so much for these great tips, Kathy! I can’t wait to put them to use in the upcoming weeks! Great idea to start the new year with a bedroom make over. I will especially have to remember to make sure I use pre-shrunk fabrics. That hint alone can save lots of money. Beautiful ideas I loved seeing them. Kathy had plenty of great tips, didn’t she? I’ll definitely be using them in the weeks ahead as I “refresh” my master bedroom. Thank you for stopping by! Very helpful, Kathy! Thank you for guest posting; great information!